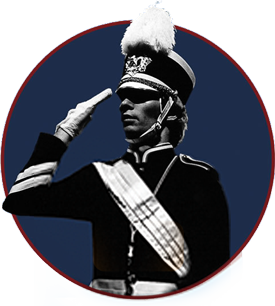 George Parks began teaching drum majors at the West Chester University summer marching band workshops in 1973, and founded the Drum Major Academy® in 1977. Mr. Parks was Professor of Music at the University of Massachusetts/Amherst, and the director of the Minuteman Marching Band for 33 years. He was a recipient of the University’s Distinguished Teacher Award and the Chancellor’s Medal for Distinguished Service. He was named an Honorary Alumnus of the University of Massachusetts and inducted into the Massachusetts Instrumental Conductor’s Association Hall of Fame. Professor Parks conducted numerous district and regional bands in Massachusetts, Maine, Pennsylvania, and New Jersey, as well as conducting the University Concert Band at UMass. Over the years his involvement with Bowl Games of America placed him at the helm of half–time productions for the National BCS Game, the Sugar, Orange, Carquest and Hall of Fame Bowl Games. 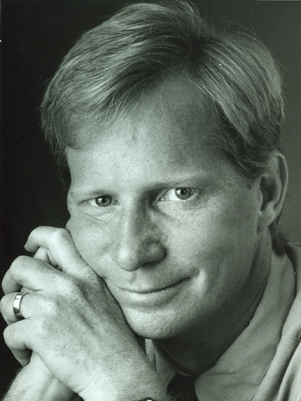 In 2005, Professor Parks was Director of the Bands of America National Honor Band during their inaugural performance in the Tournament of Roses Parade. He returned as director in 2009 for the group’s second appearance. Professor Parks has been featured in various instructional videos teaching drum majoring, leadership skills, and mace techniques, and authored “The Dynamic Drum Major,” a text on the art of drum majoring. Mr. Parks was drum major of the West Chester University Golden Rams Marching Band, an 8 time recipient of the DCA World Championship Drum Major Award as drum major of the Reading Buccaneers Senior Drum and Bugle Corps, and was inducted into the Drum Corps Associates Hall of Fame. 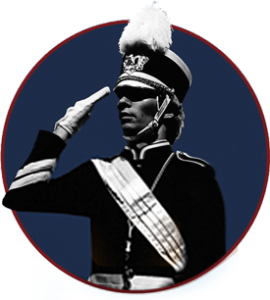 The Drum Major Academy® is the nation’s foremost authority on the art of drum majoring, and the staff, all prominent music educators, brings 40 years of teaching and performing experience, instructing over 3,000 drum major and band leadership students each year.